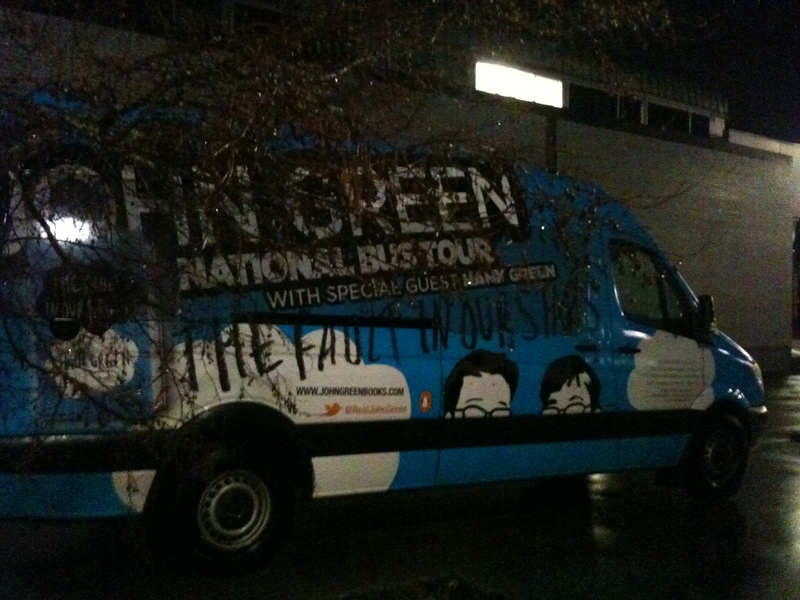 Last night was the last stop on John Green’s The Fault In Our Stars book tourand also the first stop in Canada! It was great to have both John and his brother Hank in Vancouver, as the Green brothers said, it was like the internet, but in real life! 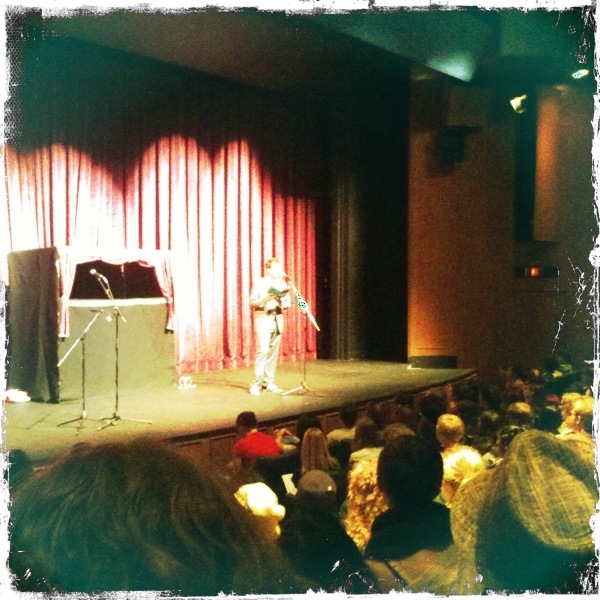 I was surprised at how few people I recognized from other Vancouver nerd events. Much of my nerd community is located closer to Seattle, and there weren’t many Nerdfighters I recognized from Can’t Stop The Serenity or Wizard Rock shows, but then I guess I’m getting older than the target teen market for these books, and maybe this community. It doesn’t devalue the experience for me at all, just gave me a bit of pause. 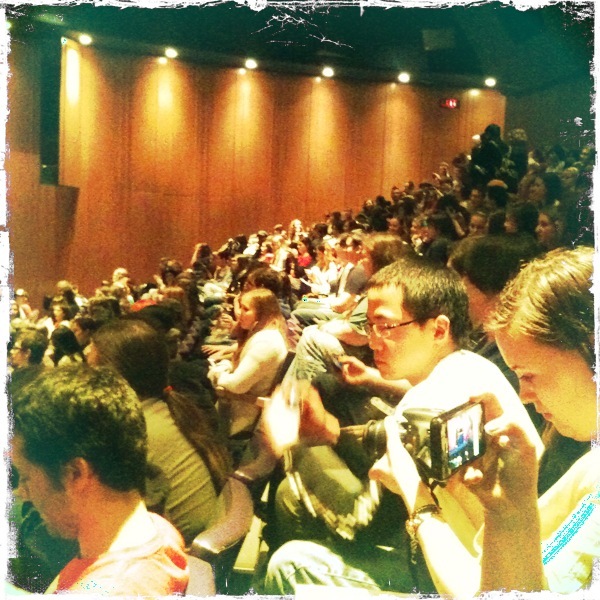 Perhaps mostly because many of my friends who would have attended did not get tickets in time. It did get me thinking about how I never know what question to ask or what comment to make in the 15 second window of the signing line at these events. There are authors that I would like to say so much to, but that I don’t know how to describe what I want them to know. I’ve often thought that in my lifetime I would like to be able to say two words to JK Rowling: “Thank You”. It’s the only words I can think of but they mean so much more than what they seem.I would thank her for my friends, for my childhood, for the adventures of my late teens and early twenties. I would like to say similar things to John Green, to Tamora Pierce, and many more authors from throughout my life. 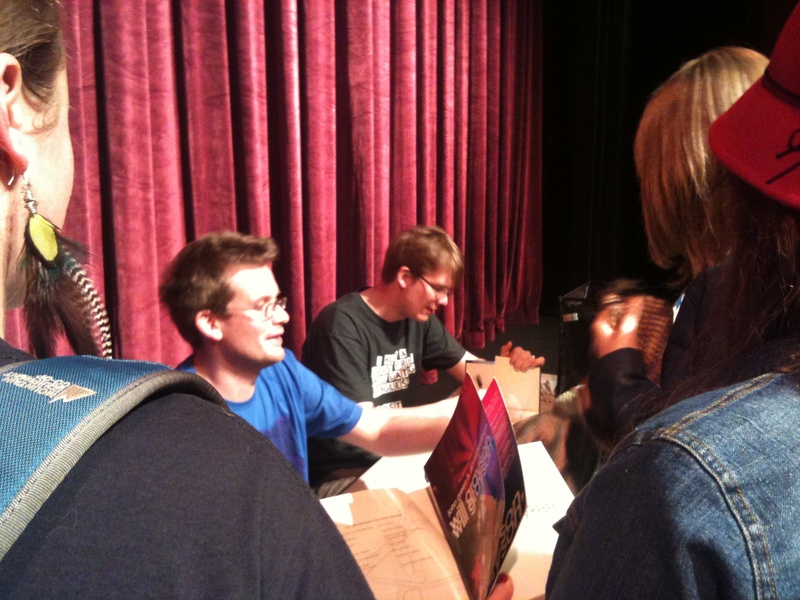 But the three times I have met John Green, and the two times I have met Tamora Pierce, I haven’t been able to say much. There are so many things, but not a single thing I can think to say. What I would really like to do is to crystallize the feelings inside my heart that are connected to their books, and somehow just hand them a ball of my emotions. And have them know exactly what I mean to say and why I want to say it. they have done for me. I have had the luxury of spending so much time with their books, both reading them and thinking about them, letting them impact my life, but that same luxury does not extend to talking with many of these authors to the extent that I would have to in order to get across what I would like to. Do you have any authors that you would like to talk to? What would you say, or what have you said? Was it enough? Other Places I’m online this week: Check out the Bookslingers Podcast that I was a guest contributor for this week and while you’re there, take some time to look around their website, it’s a great resource for all of your book-related needs! Thanks Miss Corene and Miss Maiar for inviting me on the Podcast! ps. Check out the awesome tour van that was provided by Penguin for the tour! How awesome is this? 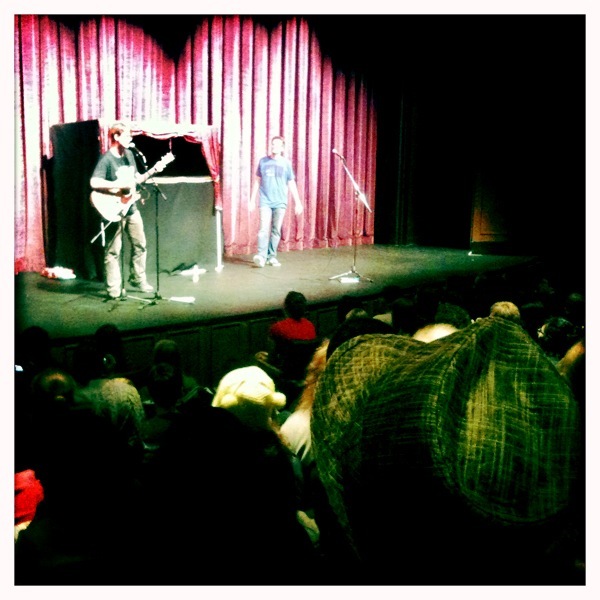 And way more fancy than the tour for John Green’s previous book, Paper Towns.